For most parents, having a baby is the first miracle in the family, and it’s indeed a blessing. It makes sense, thus, to opt for a name that conveys the blessed miracle who is your baby. What could be a better way to cherish this miracle that you hold fondly in your hands than by giving him or her a name that means miracle. According to Google, baby names meaning ‘hope,’ ‘peace’ and ‘love’ are quite desirable. But, baby names meaning miracle and blessing top that list. 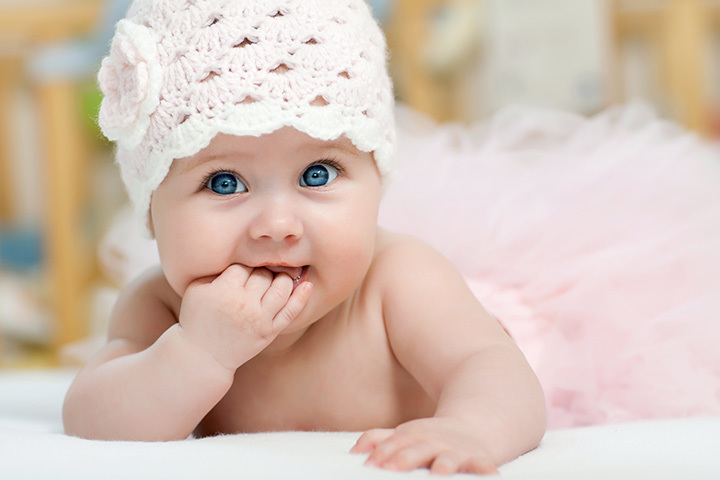 With this in mind, MomJunction has compiled a collection of lovely baby names, meaning ‘miracle’ or ‘blessing’. Take a look at our picks below! Aksha is a Hindi origin name, meaning ‘blessing.’ The name is quickly rising in popularity, jumping up 100 spots in the last few years. It’s currently within top 200, a place that it made in just a couple of years. 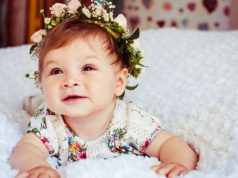 Alazne is a beautiful Basque baby girl name that means ‘miracle.’ This multi-cultural name has an exotic charm to it, which we think would appeal to artistically inclined parents. It was also one of the top 20 names in the last century. Amari is a beautiful American name, meaning ‘miracle of God.’ It was originally a male name, but is now used primarily for girls, because of its vowel ending and soft sound. Amari’s current ranking is #264. This is one of the most pleasing names we have heard. Ayah is an Arabic baby girl name, that means ‘miracle.’ This lovely name does not just have a beautiful meaning, but sounds lyrical too! The name Beatrix, meaning ‘blessed’ has a playful, animated note with the final ‘x’ in it. The name is largely associated with Beatrix Potter, the creator of Peter Rabbit. It was also the name of one of the Queens of The Netherlands. Behati, the African version of Beatrice, means ‘blessing, or she who brings happiness.’ This rhythmic twist on an international favorite name was introduced by Behati Prinsloo, who walked the ramp for every renowned designer, including Prada and Versace. Dorothea is a romantic, Victorian sounding name that was hugely popular in the early years of the 20th century. This name also has a long, literary tradition. It was the name of the beautiful and clever character in “Don Quixote”. Genevieve is a perfect pick for parents who want a ‘gen’ sounding name, but are tired of the overused Jen names. Genevieve is the name of the medieval saint and patroness of Paris who defended the city against Attila. It means ‘God’s blessing’ in French. Gwyneth is a Welsh name, meaning ‘blessed.’ This moniker has now become a one person name, because of the famous American actress, Gwyneth Paltrow. This mellifluous English name is becoming more and more popular with the Americans and has even landed on the top 1000 list. Jane is not plain at all. As a short, one syllable name, Jane packs quite a punch, compared to its sister name Joan. This name has been around since Tudor times. Once, Jane had become so common that it became generic. Jesse is a Hebrew name, meaning ‘blessing.’ You can use this name as a short form for Jessica, one of the classic names. Jesse is also considered a variation of the name Jessie, but the meanings are different. Karishma is a highly popular Indian name, meaning ‘miracle.’ Americans might associate this name with Charisma, but the meanings of both the names are entirely different. Karishma Kapoor, famous Bollywood actress, is its most popular namesake. Mavisha is a variation of the name Mehvash. It is safe, sturdy and sounds way edgier than its original name. Even though Marvel is a male character in “The Hunger Games” series, it has been in use for five decades for girls. It does have a comic book feel to it now, but that does not stop parents from giving this name to their daughters. Marvel Rea, the American silent film actress, is the famous bearer of this name. Marvella, the variation of the name Marvel, has been on the Social Secretary List since the year 1941. It reached its all-time high, #487 in the last century. For the nickname, you can keep Marva, which was also one of the top names for girls. It couldn’t get more straightforward that this. This holy baby name entered the top 500 baby name list in the year 2003. Currently, it ranks #414, which is its highest ever. Miracle Laurie, the American actress, is a famous bearer of this name. You can shorten Miracle to Mira to a cute name. The name owes its popularity to actress Mira Sorvina. The name is quite well used in Arab nations as well. And in India, Mira is a traditional name. Mikelle is a rhythmic name, meaning ‘miracle.’ Mikey would make a great nickname for Mikelle. Milagros is a Spanish name, meaning ‘miracles.’ It might sound too religious and too old-fashioned, but is still popular in the Hispanic communities. Some cultures refer Virgin Mary as Santa Maria de Los Milagros. Mila would make an appropriate nickname for Milagros. Mirai is a Basque baby name, meaning ‘miracle.’ This name was made fashionable in the English-speaking countries in the 20th century. But what’s amazing about this name is the chic aura that it maintains, despite its popularity. Mirielle is a French name, meaning ‘miraculous.’ The name is indeed lovely, but can pose pronunciation problems with the non-French speaking people. It’s pronounced as ‘meer-ay’. But we think it would be worth the effort. Mireya is a pretty and unusual Spanish name, meaning ‘miracle.’ The nickname Mira could be considered for Mireya as well. Mireya Moscow, Panama’s first female president is the most notable namesake. Mehr is a lovely Arabic girl name, meaning ‘blessing.’ This name has suddenly become very popular in India, with several Mehrs appearing in films and television shows. You can also opt for its spelling variation Meher. Although Nessa is more popular as a Scandinavian short form of the name Agnes, its Jewish meaning is ‘miracle’. This name has been featured in a number of movies, shows, and literary works. It’s the name of characters in “Gavin & Stacey” and “Las Vegas”. Nasya is a Hebrew name, meaning ‘miracle.’ This name is making a comeback in Israel, where it’s now a top 20 name. This cutesy name would make a lovely middle name as well. Pelia is a popular Hebrew name, meaning ‘miracle of God’. This name has migrated beyond its native country, having now been heard in the European regions. The name has the potential to be used in other English-speaking countries as well. Sachi is a Japanese name, meaning ‘miracle.’ Also considered the short form for Sachiko, Sachi was given to 25 girls in the United States in the recent times. The name may be Japanese, but Sachi definitely has an international feel to it. Winifred is a Welsh name, meaning ‘blessed peacemaking.’ The name is on the cusp of a revival, along with its most used nickname, Winnie. It was chosen by famous host Jimmy Fallon for his daughter. Aaron is an English name, meaning ‘miraculous.’ This name has been on the top 50 for decades and is still an attractive choice. The double vowel beginning of Aaron gives this moniker an appealing gentleness. Adom is an African baby name, meaning ‘blessing of God.’ This name has a widespread appeal with the Europeans and Americans. Asher is an excellent Old Testament name, meaning ‘blessing or fortunate.’ In the Bible, Asher was the name of one of Jacob’s twelve sons. This name was chosen by Embeth Davidtz and Campbell Brown for their sons. Benedict is a Latin name, meaning ‘blessed.’ This name is for parents who like the names Benjamin and Ben, but find these forms too common. You can also opt for its Shakespearean form Benedick. Bennett is the medieval form of the name ‘blessed’. It’s fondly considered a cross between Beckett and Benjamin. Bennett is one of the fastest rising names as well. It jumped 200 places last year to reach the #153rd spot. Its famous bearer is Bennett Cerf, the founder of Random House. Benediction is a French name, meaning ‘blessing.’ Most of the parents presume that Benediction was popular in their childhood and has no takers now. But there are still plenty of Benedictions around. Boone is a French name, meaning ‘a blessing.’ It is a lean and lanky cowboy name with a laid-back, European feel to it. The name is also linked to Daniel Boone, the American frontiersman. And we also have Boone Carlyle, the high-profile business magnate. 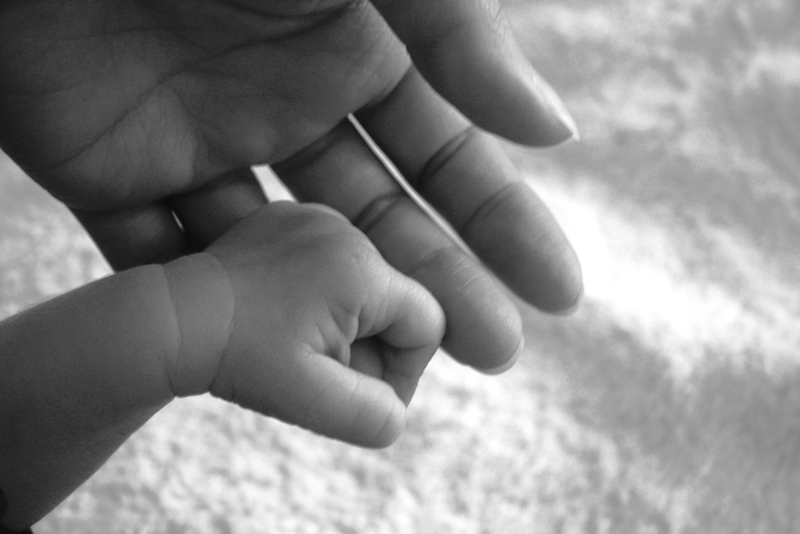 If you do not mind experimenting with your child’s name, go with Daliso, which means ‘blessing’ in Chewa. Eijaz is an Arabic baby boy name, that means ‘miracle.’ This classy and strong name is mega popular in Muslim countries. Want something exotic for your son? You can go with Harika, the Turkish for ‘miracle’. It’s fascinating, pretty and sounds very different. Inaam is an Arabic unisex name, meaning ‘blessings from God.’ It’s mainly used in compound form like Inaam-ul-Haque. Inaam Kachachi, the renowned Iraqi journalist and the author is its famous namesake. Loreto is an Italian baby name, that means ‘blessing.’ It’s a more classic name than you can even think. This name has been around since the 16th century. Mapalo is an unusual baby name, meaning ‘blessings’ in the Chibemba language. This name has a pleasant sound and a stylish ‘o’ ending. And it’s one of the top 100 baby boy names in Zambia. Matthew, meaning ‘Gift of God’ can also be considered by parents. It was the third most popular baby boy name in America in the 80s and 90s. Currently, it holds the 15th spot. Milagre is a Portuguese baby boy name, meaning ‘miracle.’ It’s both upbeat and offbeat, and Milo would work best as a nickname for Milagre. This is one of our favorites. Miracolo is the Italian word for ‘miracle’ and would make an excellent name for your son’. If you or anyone in your family belongs to the Danish descent, honor him by naming your son Mirakel, which is a Norwegian word for ‘miracle’. Thaddeus is the Aramaic version of the name Theodore and means ‘blessing of God.’ This New Testament name has an antique feel to it. The name has appeared in several movies, like “SpongeBob Squarepants”, “Police Academy to Get Smart” and “Harry Potter”. Zelig is the Yiddish variation of the name Selig and means ‘blessed’. It would make a plausible choice for your son, only if you can brush off the Woody Allen identity from it. (Woody Allen introduced us to this name in one of his films).